October is a busy month! Fall is at its peak, everyone is planning what they will dress up as for Halloween, and with the holidays just around the corner, everyone is preparing for the advent of winter. Time sure flies when you’re having fun! Let’s not forget, October is also a time of consciousness. October is Breast Cancer Awareness month and National Bullying Prevention month. National Breast Cancer Awareness Month is dedicated to increasing awareness of the importance of early breast cancer detection. National Bullying Prevention Month unites communities nationwide in activities, education, and raising awareness of bullying prevention. An appreciation of both causes plus your involvement is vital to the health and wellness of our communities. We also have an election coming up. How many of you are sick and tired of all the political attack ads on television? What about the countless number of pre-recorded phone calls you’re receiving? How about watching the debates? Do you feel inundated with negativity? Most people tend to get stressed out during election time which leads them to become lackadaisical about going to the poles. It’s perfectly okay (and probably beneficial to your health) to ignore all the political fighting to salvage your own sanity. But it is not okay to not vote. How can you make a difference at home or in your community? 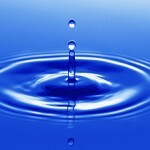 Become the proverbial pebble that gets tossed into the water causing a ripple effect that has far reaching capabilities. Realize your voice can be heard when you speak up. Find a way to influence others: volunteer, vote, get involved, etc. ENGAGE, MOTIVATE and INSPIRE others to join the cause. Be a leader in your life and community! You MOTIVATE yourself toward positive change and wellness. Once you’ve achieved positive change, you INSPIRE others to do the same! Be an active participant in your life, health & wellness.